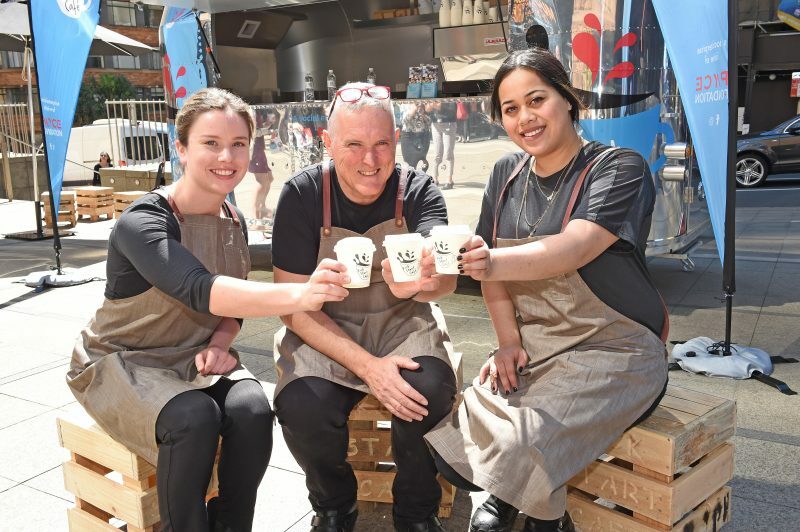 The Kick Start Café – which provides employment and training opportunities for disadvantaged youth – has proved such a success there are now plans to roll it out across Sydney construction sites. The PAYCE Foundation has backed the construction of a fleet of food trailers and plans to partner with other companies to provide more opportunities for disadvantaged youth. 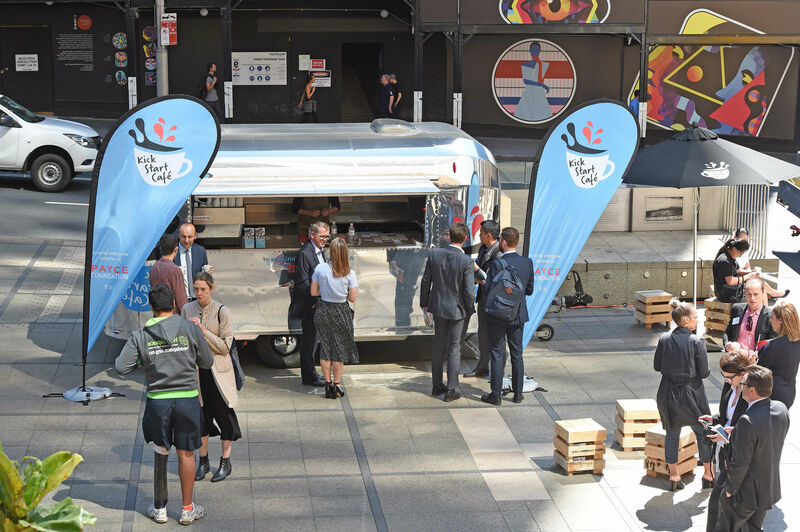 The mobile food trailer project was officially launched at a Property Council of Australia briefing at the Museum of Sydney in Bridge Street, Sydney this week. Twelve trainees have graduated from the Kick Start Café which was first established at the PAYCE urban renewal project, Washington Park, a joint residential venture with the NSW Department of Land and Housing. One of the project’s biggest supporters is Kick Start graduate, 23-year-old Paniora Nukunuku. “Before the Kick Start Café I was in a very difficult situation – I wasn’t able to pay my bills,” he said. “Then I got a call from a youth worker from the Riverwood Community Centre saying there was this new café at Washington Park and they were able to train young people and pay them at the same time. Paniora has never looked back and now works as a youth worker at the Belmore Youth and Resource Centre. “When you have soft entry points like the Kick Start Café, you can give disengaged and disadvantaged kids the opportunity to take control over their lives and unlock their potential,” Paniora said. PAYCE Foundation Director Dominic Sullivan says every construction site needs to provide a café/canteen facility to cater for workers, and this was a perfect opportunity for Sydney’s development industry to participate in meaningful social procurement. “By supporting the Kick Start Café social enterprise, companies can directly address social disadvantage. “The Kick Start Café mobile trailers will provide a quality, flexible and sustainable solution which is based on a partnership model that successfully addresses youth unemployment,” Mr Sullivan said. The trainees are supported by professional trainers, including experienced chef and mentor Shane Hillard. “I am very excited that with an ever expanding number of trailers over the next few years we will be able to train and employ hundreds of young people and prepare them with essential life and work skills,” Mr Hillard said. In lower socio-economic suburbs youth unemployment can be as high as 40 per cent. Under the Kick Start Café program, young people attain a qualification in barista training before moving to a Certificate III in Hospitality and then transition to employment.